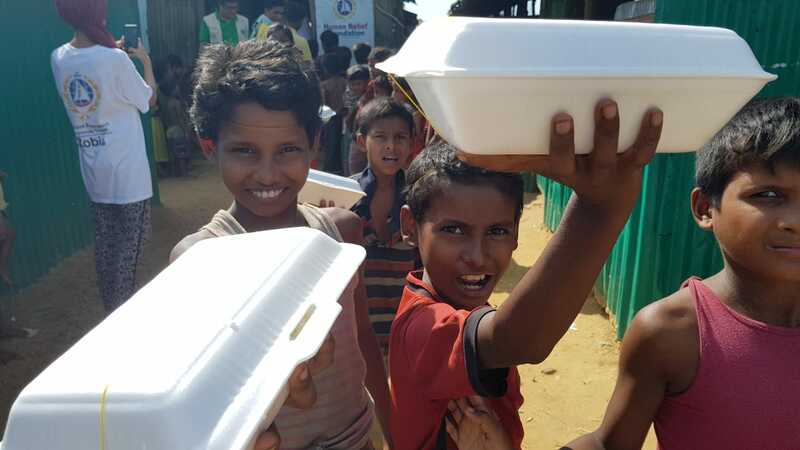 The HRF Kitchen project is providing hot meals to Rohingyan children inside the Kutapalong refugee camp in Bangladesh. 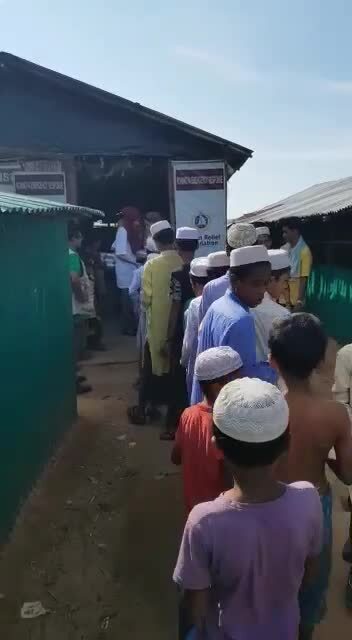 Feed 10 Rohingyan children at the HRF Kitchen. 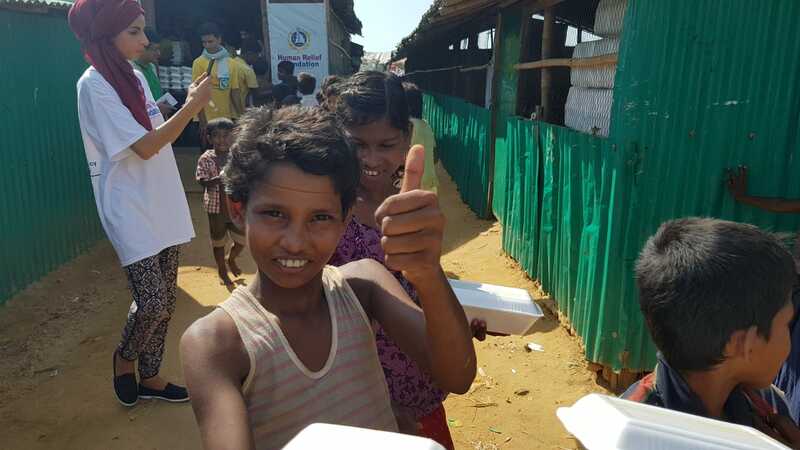 Feed 100 Rohingyan children at the HRF Kitchen. 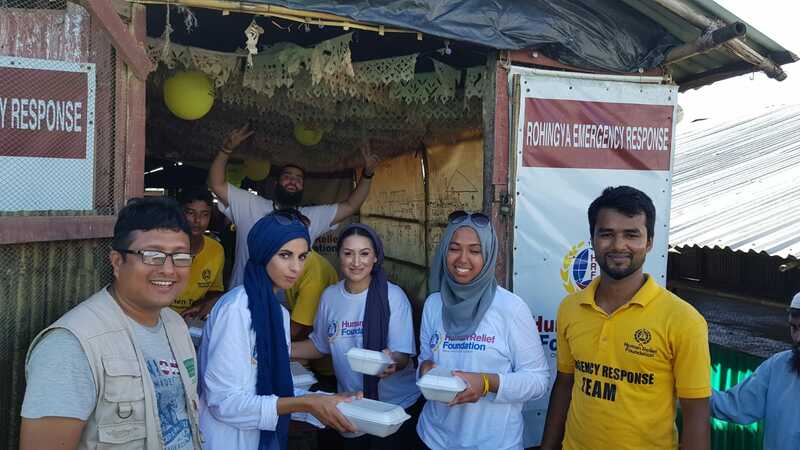 Feed 1000 Rohingyan children at the HRF Kitchen. 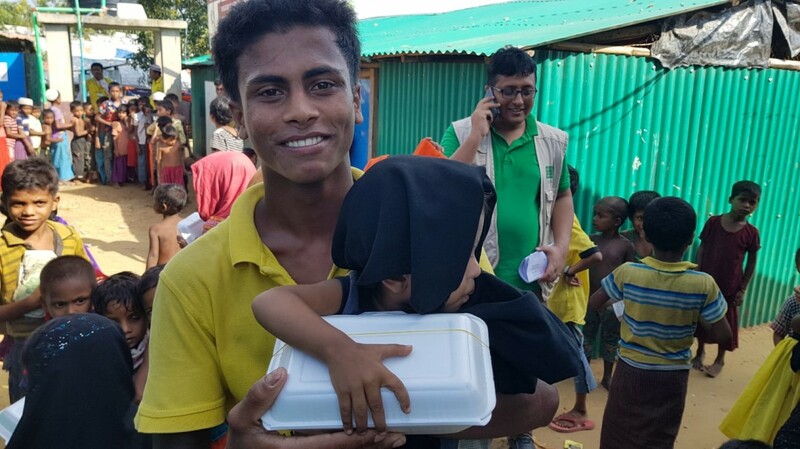 The HRF Kitchen project is providing hot meals to Rohingyan children inside the Kutapalong refugee camp in Bangladesh. But we need your help. 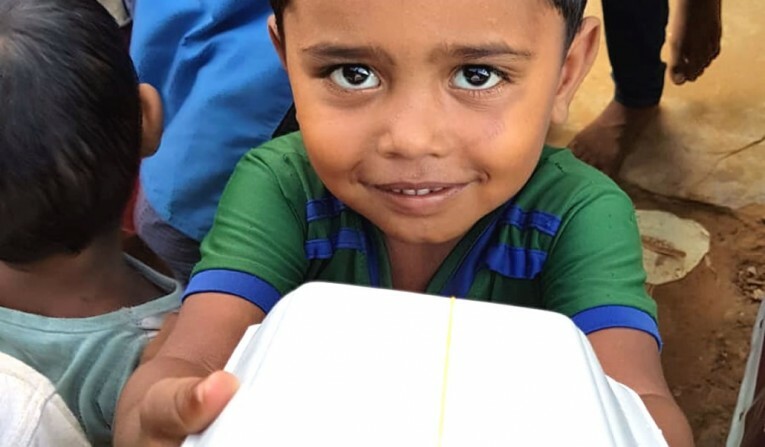 The HRF Kitchen project was set up to provide essential nutrition to the Rohingya refugees living in horrific conditions in the camps inside Bangladesh. The influx of nearly one million refugees over the space of three months had put pressure on local resources whilst international NGO’s struggled to cover the basic needs of all those who had become destitute. The kitchen was built next to an Islamic school (madrassa), where the number of students initially was around 300. Many parents did not want to send their children in the blistering heat to study, so children would remain hungry. 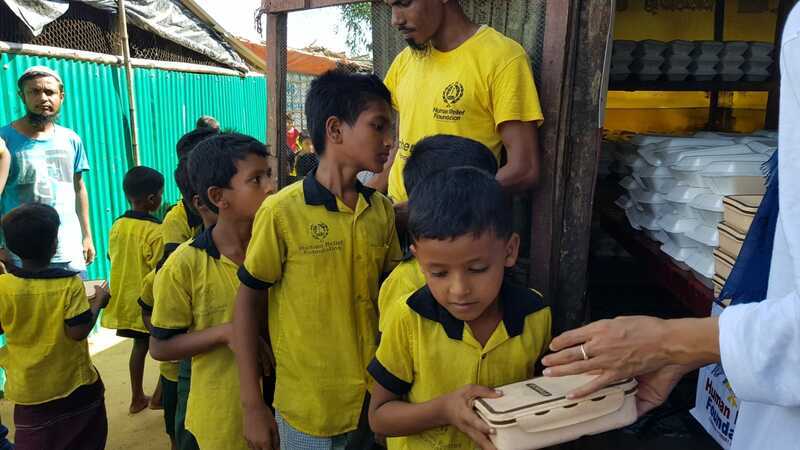 Human Relief Foundation (HRF) stepped up to help. Please consider donating towards the HRF Kitchen to feed the young Rohingyan children who depend on your food for survival.